Our area fishing is still doing OK — we have trout in the Community Park area. You will need to walk the shore a bit to find that spot where the trout hold up. Using PowerBait or nightcrawlers seems to work well for you bait anglers, and your favorite spinner can provide some great action. And also working is a couple of my favorite spinners, the Panther Martin (yellow with red spots, the brass blue fox) just to name a couple. For the PowerBait, a light green or pink has proven to work well. 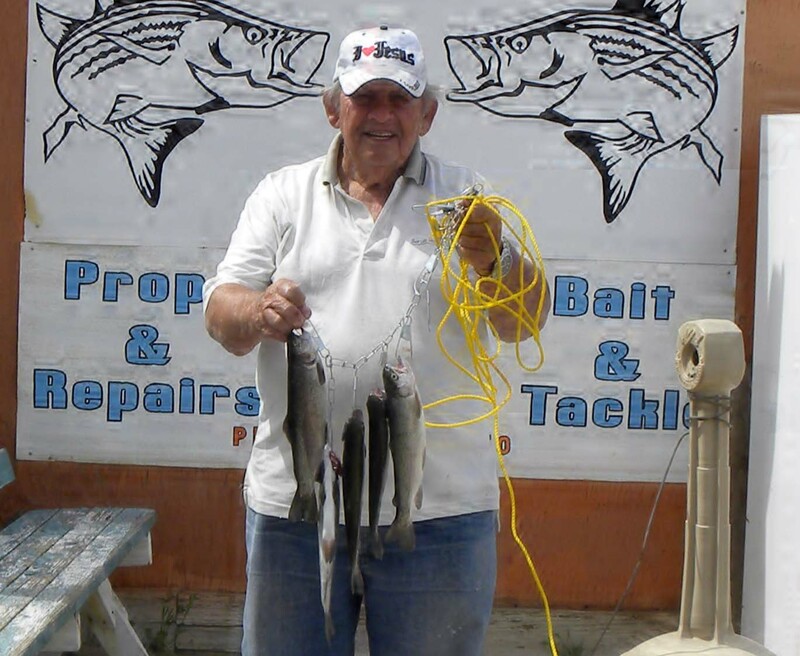 Del Pragnel (above) was using a Rooster Tail to land his limit of rainbows. Farther down river in the upper Big Bend area, our Wyoming snow bird Terry Griffen was fishing from shore. 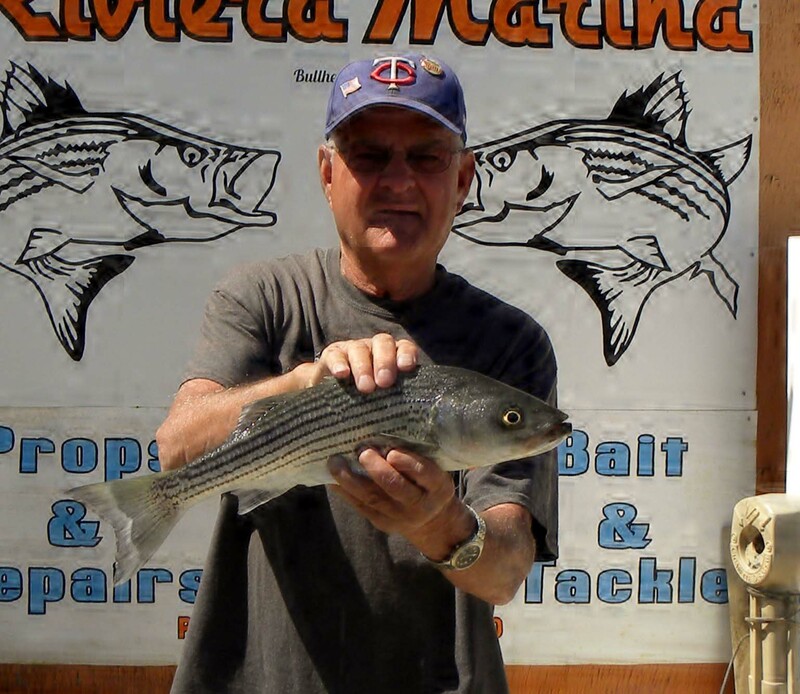 He landed a nice 2.34-pound striper at 18 and 5/8 inches. Terry was using anchovies and fishing off the dock across from the Big Bend park. This seems to be an average size of the stripers that are running the river now. I have some good reports in the Casino area but fishing on the Arizona side of the Colorado River has been doing well. Not much action up on Lake Mohave as the largemouth and smallmouth bass are in spawn mode. While the striped bass are, or should be, getting close to spawn. Both on the lake and here along the river I have been hearing of an occasional channel cat being landed. I am showing off Steve Pughs’ catch of some of our local carp. He used his bow to bring these in — the larger one weighed in at 14.5 pounds and was 31 inches; the smaller one was 24 inches. 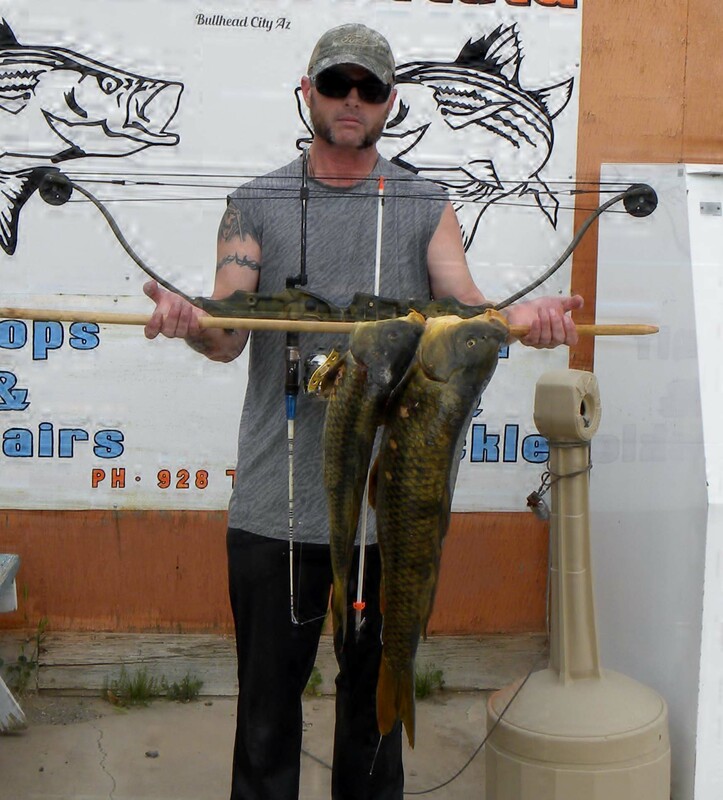 Bow fishing is a great sport — it allows for multiple shots as the carp seem to keep coming around. If I can assist in getting you started in this sport let me know . Thanks, hope this helps for now, and as we get closer, I hope to have some of the Striper Derby information. So far it looks good for the 8th and 9th of June. Hope this helps, and we will see you in with that catch to share your story. 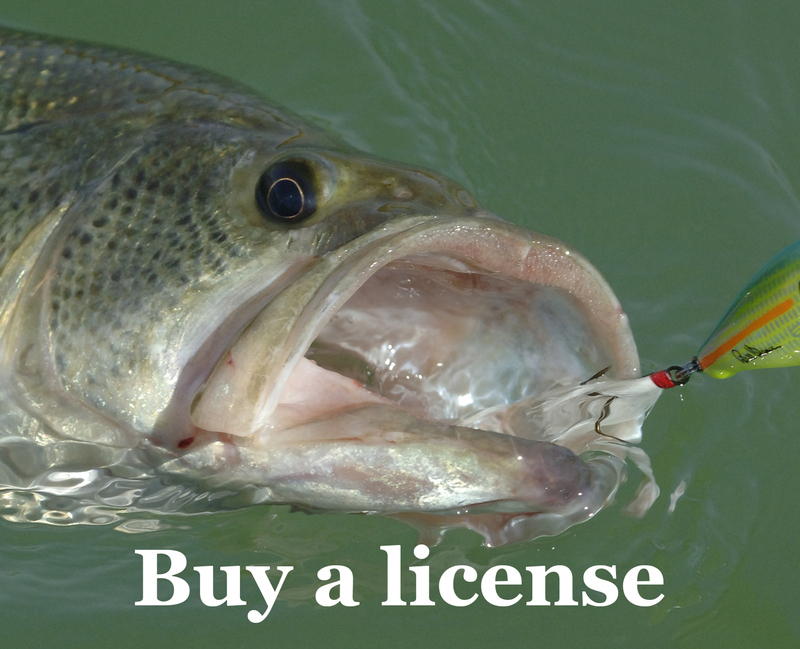 Editor’s note: See Arizona Game and Fish Dept. regulations (pgs. 7 and 19) regarding legal fishing methods (including bow and arrow), and Special Regulations for the Colorado River-northwest region.